Dr. Scott Glesmann, founding partner of Western Medical Eye Center LLC and Physicians’ Surgery Center LLC, is a board certified ophthalmologist. Dr. Glesmann brings over twenty years of general ophthalmic experience to Mohave County. Currently, Dr. Glesmann serves as the Medical Director of Physicians’ Surgery Center LLC. The former Chief of Surgery at Western Arizona Regional Medical Center with current privileges at both Western Arizona Regional Medical Center and Kingman Regional Medical Center, Dr. Glesmann’s commitment to patient care in our tri-state area began in 1996. Prior to moving to Mohave County, Dr. Glesmann served as Chief Ophthalmologist of the 30th Medical Group, Vandenberg Air Force Base from 1991 until 1996 where he honorably fulfilled his commitment as a Health Professions Scholarship Program recipient. Dr. Glesmann completed his ophthalmology residency in 1991 at Sinai Hospital of Detroit, now Kresge Eye Center. Pursuing his interest in research, Dr. Glesmann was a National Institute of Health grant recipient in 1988 at the Center for Ophthalmic Research and Development affiliated with Sinai Hospital of Detroit and Dr. Hugh Beckman. Dr. Glesmann was the principal investigator under the direction of Hugh Beckman, MD, Chairman of Ophthalmology; conducting feasibility studies for the development of a ‘Fiberoptic Delivery System for Transscleral Cyclophotocoagulation’ in the treatment of intractable glaucoma. 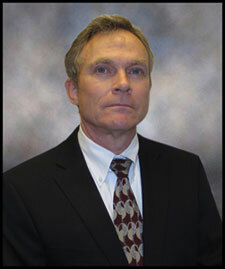 Dr. Glesmann completed his internship in Internal Medicine at the Detroit Medical Center in 1987. A 1986 honors graduate of Wayne State University School of Medicine in Detroit, MI, Dr. Glesmann was initiated as a member of the Alpha Omega Alpha Honor Medical Society. Dr. Glesmann is a 1981 graduate of Northwestern University where he earned a Bachelor of Science degree in Biomedical Engineering. Dr. Glesmann was inducted into Tau Beta Pi National Engineering Honor Society in 1980, during his junior year of study. Dr. Glesmann is a Fellow of the American College of Surgeons, a Diplomate of the American Board of Ophthalmology, a Fellow of the American Academy of Ophthalmology, a member of the American Society of Cataract and Refractive Surgery and a member of the Arizona Ophthalmological Society. Dr. Glesmann holds current licensure in Arizona, Nevada, California and Michigan.